Piece by piece, Boston’s newest neighborhood is coming together. 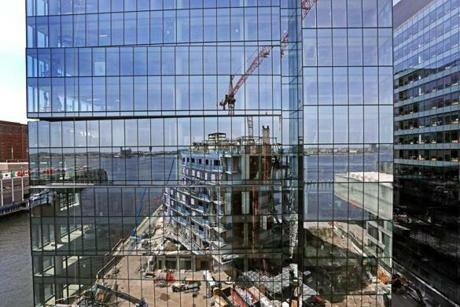 From the nearly-finished elliptical glass tower at 121 Seaport Blvd. to the half-built Pier 4 where Anthony’s once proudly stood to the massive Echelon Seaport housing development now rising from the ground, the vision of a key stretch of the Seaport is fast becoming reality. We went inside — high above and down to the foundation — to get a look at the building that goes on every day, even as construction workers in hard hats are increasingly joined by office workers in dress pants, and the growing number of people who call the Seaport home. The tower cranes and cement trucks that seem to have taken up permanent residence along Seaport Boulevard eventually will move onto another part of town. But for now, it’s a fascinating place to watch a remade section of the city come together, in real time. 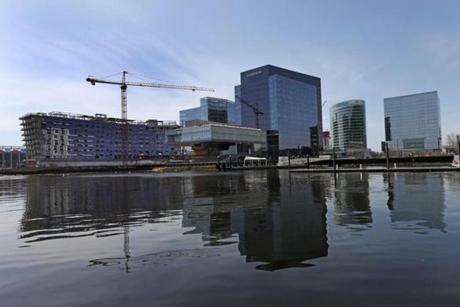 For a previous photo essay on the Seaport’s growth, click here. The curved window vista interior view of 121 Seaport. 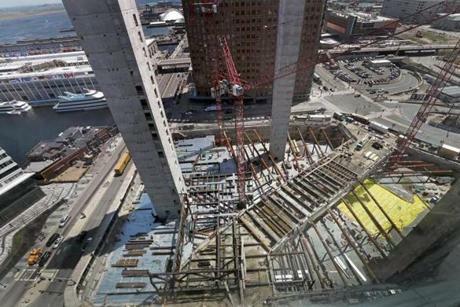 Elevator shafts rise above the construction site of Echelon Seaport. 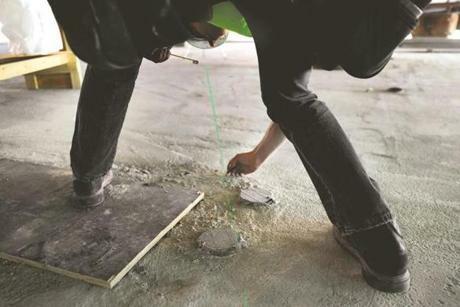 A laser light crosses the floor of a Pier 4 condo room, where a wall will be constructed, marked by construction worker Scott Johnson. From left, the Pier 4 condo and office tower, the Institute of Contemporary Art, the Goodwin Building, 121 Seaport, and PwC’s building. The Pier 4 condos are reflected onto the Pier 4 office tower.